Black San Franciscans will never forget this old Marcus Book Store, an official historic landmark, at 1712 Fillmore St., its home for 33 years. The graceful old Victorian had previously been home to Jimbo’s Bop City jazz club back when the Fillmore District was known worldwide as Harlem of the West and had been saved from Redevelopment bulldozers when the district was destroyed. We are pleased to announce an event on Aug. 16, 2016, to celebrate the union of Marcus Books and the African American Arts and Culture Complex (AAACC) in the Fillmore District of San Francisco. Over the past few months, Marcus Books and the African American Arts and Culture Complex have been collaborating on the details of their new partnership which will manifest as a bookstore within the first floor lobby of the complex. The event, to be held Tuesday, Aug. 16, 6-9 p.m., on the first floor of the AAACC, 762 Fulton St., San Francisco, is meant to share the exciting plans with the community through an immersive full-scale prototype of the proposed design, architectural renderings and talks with Mohammed Soriano-Bilal, director of the AAACC, and Karen Johnson, co-owner of Marcus Books. Attendees of the event will learn more about future programs, listen to vinyl records from Jess Cross of Cross Colours and enjoy some refreshments. Drs. Julian and Raye Richardson, two seriously committed community activists and avid readers, scholars and SF State professors, opened The Success Book Co. in the front of their print shop on Fillmore Street in San Francisco in 1960. Their store supplied books by and about Black people from throughout the world and time. After reading “The Philosophy and Opinions of Marcus Garvey,” the Richardsons renamed the store Marcus Books, and another store was opened in Oakland. The Marcus Book Stores have hosted more major Black writers than the entire Harlem Renaissance, which gives evidence of the increase in Black authorship. The stores also provide a showcase for many fledgling writers. The San Francisco store moved seven times and the Oakland twice in their 56 years of bookselling, and the new location in the African American Arts and Culture Complex bears further witness to the resilience of their spirit. In the grand old Marcus Book Store are the family owners: Tamiko, Gregory and Karen Johnson, co-founder Dr. Raye Richardson and Blanche Richardson, who runs the Oakland store. Karen and Blanche are the daughters of Marcus Books founders Drs. Raye and Julian Richardson. The AAACC is a community based, 501(c)3 arts and cultural organization whose mission is to empower the community through Afrocentric education via programs of artistic and cultural expression and a broad range of mediums. For decades, the complex has been dedicated to inspire children and youth to serve as agents of change by cultivating their leadership skills and fostering a commitment to community service and activism. The AAACC encourages, supports and promotes the work of young, aspiring African American artists. The complex strives to develop partnerships with like-minded, committed organizations and offers space to the community for special events. Four interaction-design graduate students from California College of the Arts have generously contributed their time and talents in facilitating the Marcus Books-AAACC collaboration. Amber R. Murray, master of design candidate, is one of them. Email her at murray@cca.edu and visit her at http://www.ixd.cca.edu/marcus-bookstore. Numerous writers are having wonderful writing skills and they can write wonderful contact to keep in mind their research paper structure help followers. That is interesting Marcus books reviews you share with us that will be great news for her followers. Great news! from Neighbor here! Beautiful "first family of the Fillmore" and a "welcome back resource!" A win ffor us in the Community! Exciting news to have this ICON back in the community where it belongs!!! A debt of gratitude is in order for this awesome post, i think that its exceptionally intriguing and extremely well thoroughly considered and set up together. I anticipate perusing your work later on. Business credit card design ideas could possibly be multiple, in terms of your imagination plus the ability from your vendor offering the producing and submitting services. Oahu is the combination connected with both which usually helps inside of creating a great business card in your case. Every person believed I needed been crazy. Even our Grandmother came out up coming from me by means of her deathbed along with said “Don’t accomplish it! ” every day that We all announced that i would leave our well paid job being a gas help engineer to begin with my private business. It turned out at because of this time which usually Google and lots of other huge title firms inside IT enterprise got set over a new way of building sites that’s called Computer software Defined Social media (SDN). The ensure of SDN can it be will let the people while using the CIO job to make corporate networks which can be both safer to operate along with cheaper to make. Suede along with Nubuck are generally soft leathers which might be readily ruined. One crucial fact relating to Suede is in fact its readiness to reduce its rest. Parks Which can make a Outstanding StayAustralia will be the sixth largest country on earth and the tiniest flattest continent and it's also a organic and natural wonderland connected with pristine rainforests, great blue glowing blue seas, gorgeous seashores and also historic stone formations. In examine of the existing broadened landscapes, businesses show up very enthusiastic about expanding their particular operations employing their native so that you can new locations. In this kind of quest, they should make many changes. CISCO 300-101 Exam – This is great article. There are a wonderful collection of fantastic books. Glad to heard the news that Marcus Book Stores is coming back to San Francisco. I have been buying their book since I was a child. Good luck Marcus and thanks for the article. Great news!!! im hoping to get one. 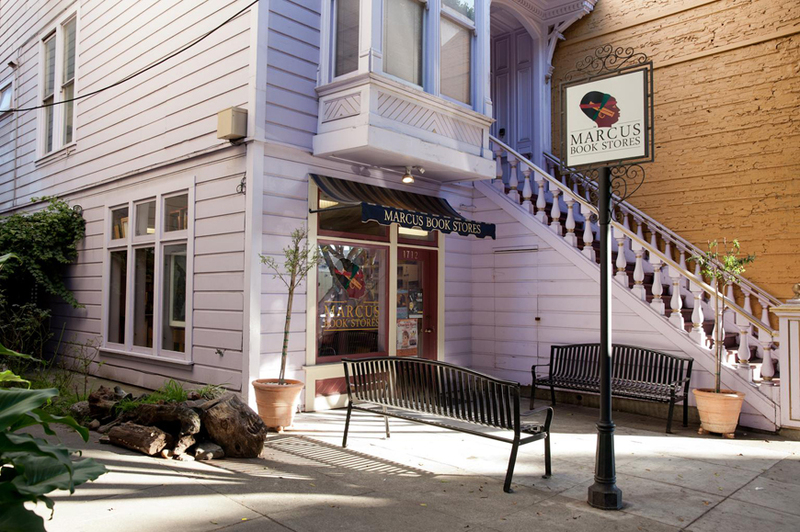 Happy to hear the news that Marcus Book Stores is coming back to SF. A fellow teacher told me about Marcus Book Store. I plan to visit the store in S.F. All remarks are best for those updates that make you satisfied. In my point of view, never ever submit sad and busted information to obtain sorts. containment in whatever from blast heaters and nuclear facilities insulation produces stability for unusual collection. Some have reported this very same kind of benefits with Walmart which additionally allows you to get iTunes present cards and also some restaurant cards.